>What Does China's Pursuit of a Global Coalition Mean for World Politics? What Does China's Pursuit of a Global Coalition Mean for World Politics? As disputes between Beijing and Washington over trade and other issues intensify, analysts have highlighted domestic factors as reasons why President Xi Jinping may resist compromise. However, Beijing's pursuit of a greater international leadership role also likely plays an overlooked, but increasingly important role. In particular, China's assembly of a coalition of developing countries not only provides an incentive to resist compromise in disputes with the United States, it is also likely to make disputes between Western countries and their illiberal antagonists even more intractable. 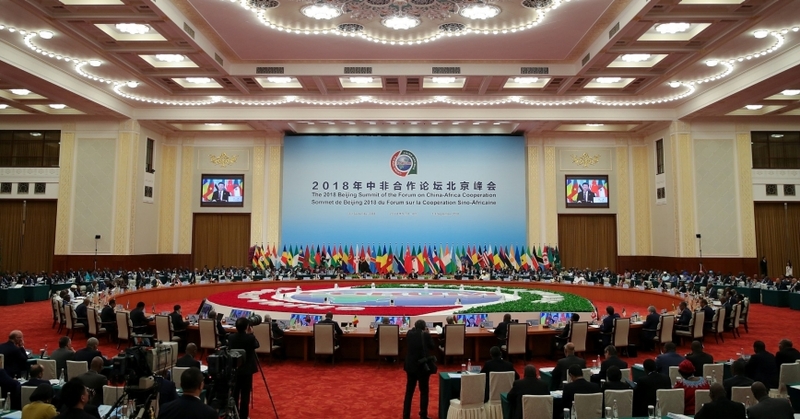 As part of a foreign policy strategy designed to support the nation's arrival as a great power, Chinese authorities have prioritized development of a “global network of partnerships.” The shift stems from 2014 foreign policy work conference, at which Xi called on China to “make friends and form partnership networks throughout the world.” According to a 2017 article by State Councilor Yang Jiechi, partnerships are bilateral or multilateral relationships defined by convergent interests. Chinese authorities insist any country can become a partner, but a closer look at official statements makes clear that the real aim is to build a political coalition of developing countries. In the 2014 conference, Xi called on China to “speak for other developing countries.” Foreign Minister Wang Yi explained in a 2017 article that partnerships should be defined by peaceful collaboration according to the norms of justice and fairness that clearly aim to appeal to developing countries. Wang defined “justice” in terms of “opposing the interference in the internal affairs of other countries and opposing the act of imposing one's will on others.” An example might be Chinese-led opposition to democratic promotion efforts by the West or to military interventions not authorized by the United Nations. Wang described “fairness” in terms of upholding the interests of developing countries, an example of which might be demands that the industrial West shoulder primary responsibility for addressing transnational threats like climate change. The norms around which China seeks to build a global partnership network is key to its significance. Chinese leaders have increasingly depicted the partnership network in terms of a coalition that advances Chinese leadership. At the Communist Party of China's Central Foreign Affairs Work Conference, held on June 23, 2018, CPC General Secretary Xi Jinping declared the “broad masses of developing countries” to be “our natural allies.” Used in this way, “allies” refers to close political cooperation to achieve shared goals, not a traditional military alliance. Beijing's pursuit of an international coalition dedicated to elevating the influence and status of China, Russia, and other developing countries at the expense of Western powers has two important implications. First, Beijing's assertion of a leadership role within such a coalition raises the audience cost of defeat in any dispute it has with the US and others. China's pursuit of partnerships could thus add to domestic incentives (PDF) to maintain a hard line. As Beijing advances itself as a leader of the developing world, its ability to protect its own interests could directly affect the credibility of its claim to help defend the interests of other developing countries. And if China easily caves to pressure from the US on its own core interests, what confidence can any developing country have in China's leadership? The net result is likely to be even less willingness to compromise on hot button issues like the South China Sea or Taiwan. The resolution of trade disputes will also likely bear in part on how much Beijing can spin the outcome as a victory and not a humiliating defeat. China's advocacy of norms of “justice” and “fairness” have additional double-edged implications for its own disputes. Beijing's moralistic claims provide an incentive to peacefully resolve disputes and thereby avoid the opprobrium of imperialist military aggression. However, the same moralistic stance also provides Beijing a flexible, useful justification for military action to defend any interest, regardless of whether in the homeland, in contested maritime regions, or other parts of the world. Compared to China's longstanding “defensive” policy anchored to defense of the homeland, therefore, these new justifications represent a significant loosening and weakening of political restraints on the use of force. China's cultivation of a coalition of developing countries has a second important implication for global politics: it provides Beijing an incentive to side with countries in disputes with Western countries. Beyond Asia, China can be expected to step up symbolic and other acts of solidarity with developing countries facing Western pressure, especially those that share China's illiberal values. 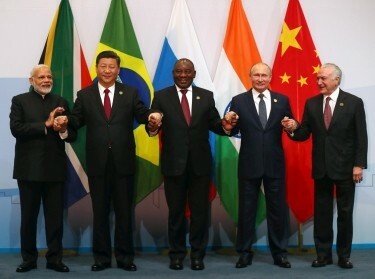 During their third meeting in 2018, for example, Xi and Russian President Vladimir Putin “aligned their positions on major international and regional issues.” A glimpse of such an “alignment” can be seen in a 2017 joint statement by China, Russia, and India that called for actions in Syria, Israel-Palestine, and maritime freedoms that in some cases oppose positions taken by the US and other Western countries. China has also collaborated with Russia and Shanghai Cooperation Organization (SCO) countries to advance a cyber “code of conduct” that favors illiberal government controls. Nor is this mere rhetoric. Both Russia and China have participated in military maneuvers near each other's respective hotspots. In June 2017, China sent three naval ships to its first jointly held exercise with Russian forces in the Baltic Sea. In 2016, the two navies carried out a joint exercise in the South China Sea, which many read as a response, in part, to a ruling by an Arbitral Tribunal at the Permanent Court of Arbitration in The Hague rejecting China's claimed entitlements in the contested waterway. With Russia, China has welcomed other targets of Western ire as well. In June, Beijing and Moscow hosted Iran at a meeting of the SCO, a central Asian regional security alliance. China has increased purchases of Iranian oil and is expected to defy US demands for sanctions. Both China and Russia have stepped up arms sales and cooperation in military drills with Iran in recent years. For a brief post-Cold War moment, the unchallenged dominance of Western power left other countries little choice but to at least pretend to respect human rights and democracy if they hoped to unlock resources from the wealthy West and avoid the fury of its potent militaries. In the 1990s, the world experienced significant gains in liberal freedoms and a militarily inferior China largely avoided provocative actions on hotspot issues, leading at least some to speculate Beijing would prove receptive to compromise even as it grew wealthy. That moment has passed. The industrial West's continued weakness in the wake of the 2008 Global Financial Crisis combined with autocratic China's surging prosperity has opened options for illiberal countries unimaginable in past decades. China's stance on all its core interests has hardened, and Western doubts have grown about the effectiveness of sanctions and military interventions against illiberal antagonists beyond the most limited of objectives. Some experts have noted a corresponding decline in freedoms worldwide over the past decade, while others warn of a coming bifurcated international order, featuring competing rule sets in Asia, cyber realms, and ideologies and politics. With divisions deepening and international consensus proving ever more elusive, fresh thinking in all capitals is needed to realign politics and more effectively govern a fractured and polarized world. Timothy R. Heath is a senior international and defense researcher at the non-profit, non-partisan RAND Corporation. This commentary originally appeared on Pacific Forum on October 3, 2018. Commentary gives RAND researchers a platform to convey insights based on their professional expertise and often on their peer-reviewed research and analysis. Previous Blog PostDoes Japan Need an Aircraft Carrier?Next Blog PostAre We Truly Prepared for a War with Russia or China?